Telematic insurance products use GPS and other technology to send information about the way the vehicle is being driven. AIG IRELAND IS calling for legislation to make telematics-based insurance mandatory for all drivers under the age of 25. 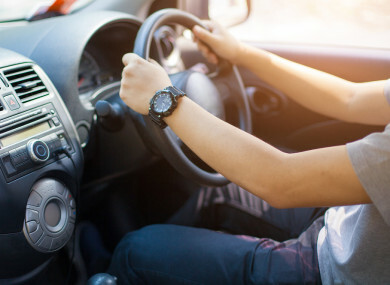 Telematics insurance products are designed for young drivers, in which a small box is professionally fitted to a vehicle which will then measure your driving. It uses GPS and other technology to send information about the way the vehicle is being driven. This includes information on speeding, cornering, acceleration, braking. It also includes accident alerts, which can help to keep a driver safe after an accident, as well as help track the vehicle if it has been stolen. Gardaí cracked down on 225 speeding motorists during National Slow Down Day last Friday. One motorist was caught travelling at 177km/h in a 100km/h zone in Donegal. “The technology now exists to identify these reckless and irresponsible drivers,” General manager of AIG Ireland, Declan O’Rourke said. We feel telematics is a win-win, not just for road safety but also for our customers, many of whom are delighted with the cost savings, and being rewarded for safe driving. “In addition, the Cost of Insurance Government Action Plan supports the use of technology to benefit consumers. AIG supports this recommendation and believes telematics is part of the answer to reduce costs for safe drivers and promote road safety,” he said. Over the past number of years, AIG has brought telematics insurance products to the Irish market, such as BoxyMo and AIG BoxClever, but they have never been made mandatory. Email “AIG wants to make telematics-based insurance mandatory for all drivers under 25”. Feedback on “AIG wants to make telematics-based insurance mandatory for all drivers under 25”.